to create a complete event. to create a complete event. We rent dunk tanks in Michigan, Ohio, Indiana, Illinois and surrounding states. 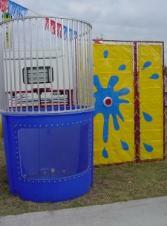 Our dunk tanks can be rented year round.